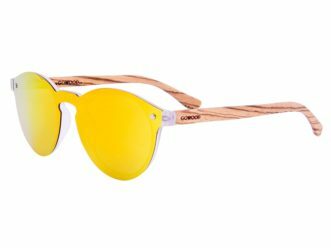 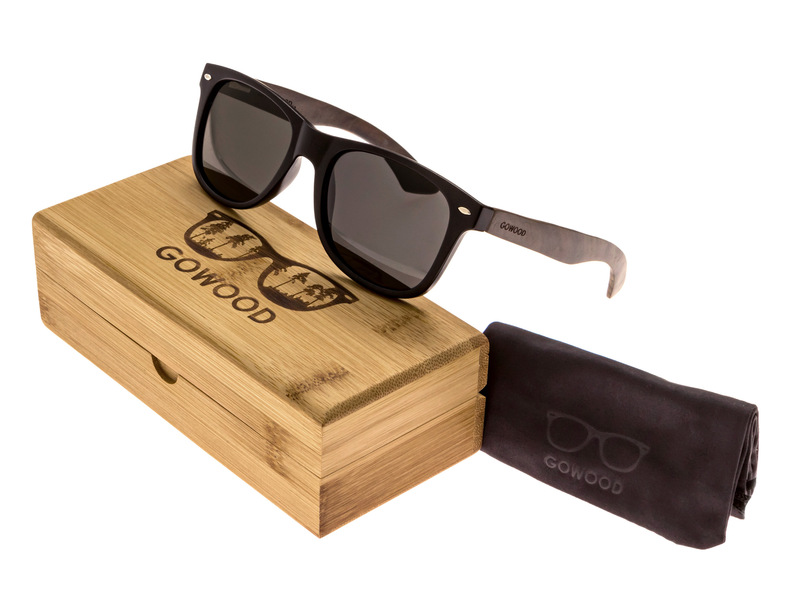 The ever popular Los Angeles classic wayfarer sunglasses are one of the most popular and best selling sunglasses from Go Wood. 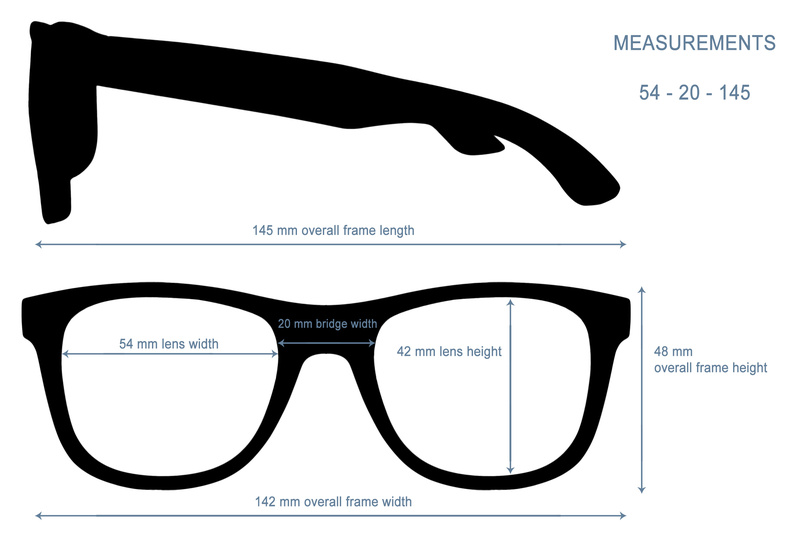 The timeless frame fits both men and women. 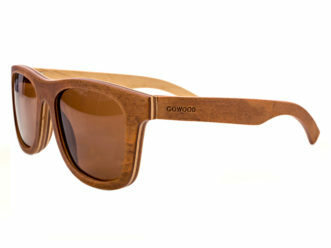 Up until now we offered this pair with bamboo or walnut legs. 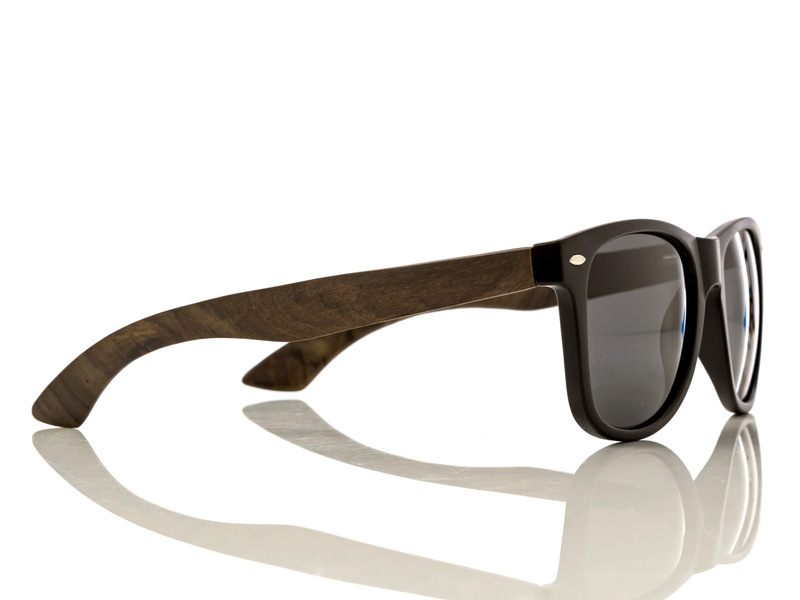 But since darker frames are more and more popular, we are now also offering these classic wayfarer sunglasses with ebony legs instead! 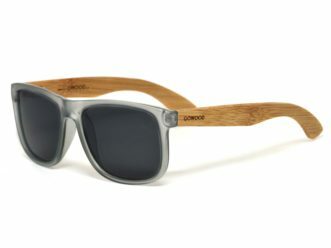 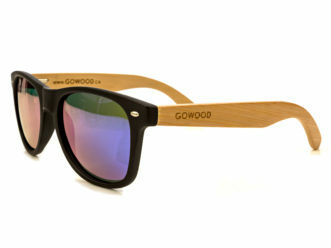 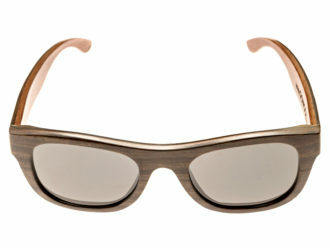 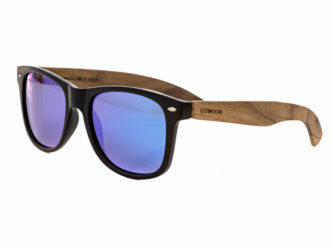 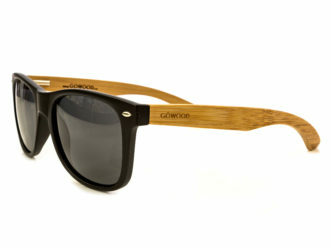 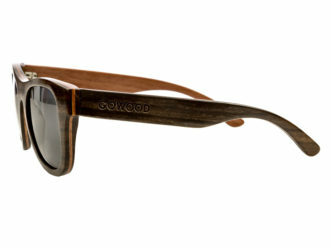 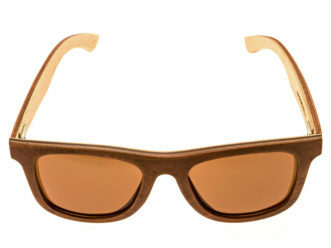 Looking for very cool wood sunglasses with polarized lenses? 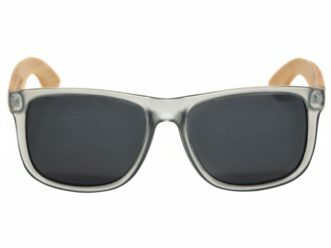 And are you looking for something really unique? 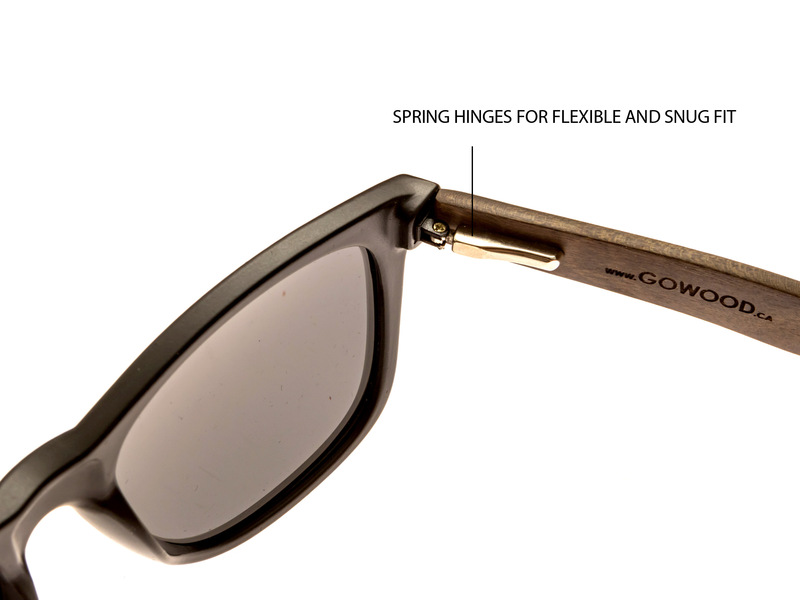 Would you like your sunglasses to be light and comfortable? 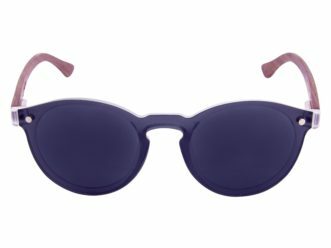 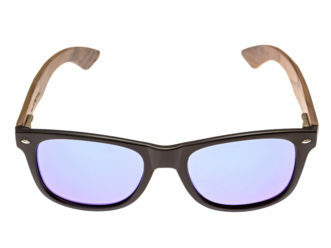 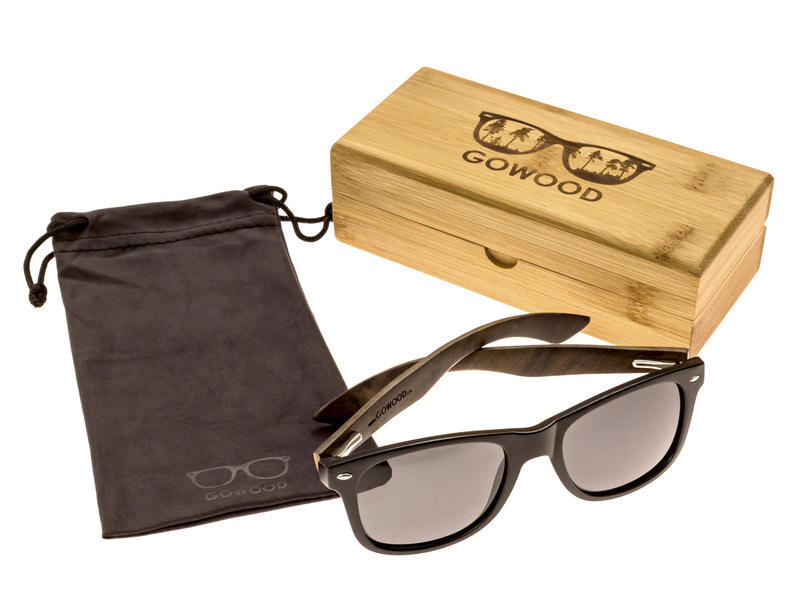 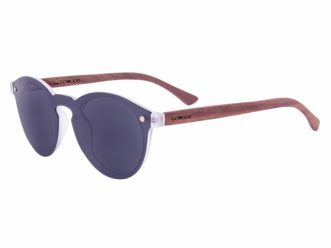 Go Wood’s classic wayfarer sunglasses with ebony legs Los Angeles IV is exactly what you are looking for and protect your eyes at the same time! 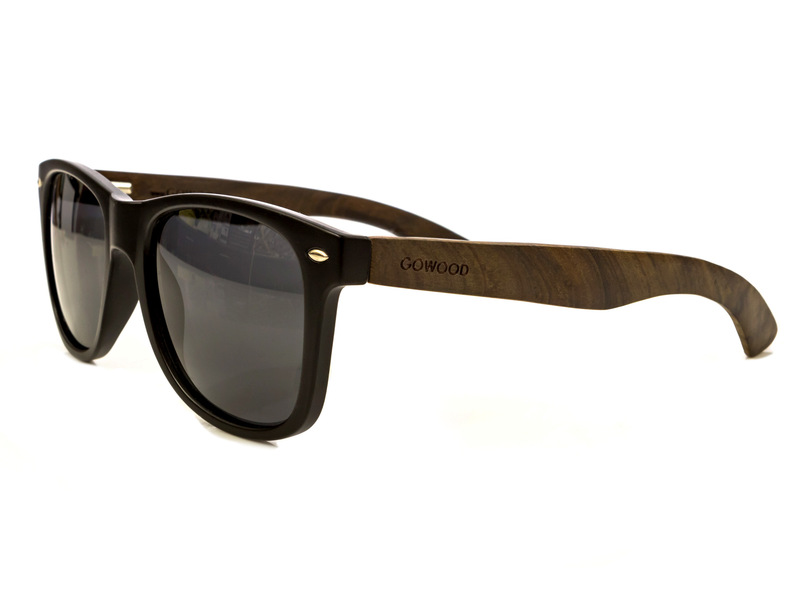 Walnut legs and polarized dark grey lenses. 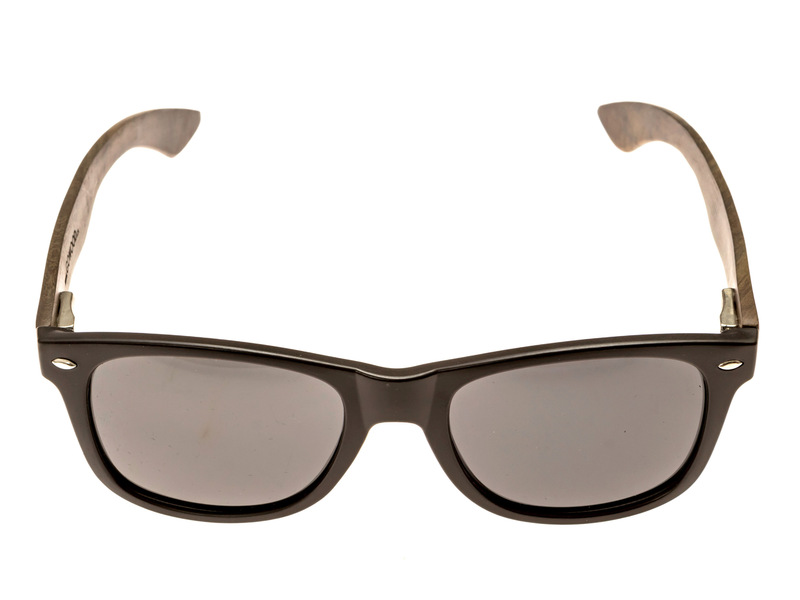 Our 90 day warranty will protect your purchase against defects or problems. 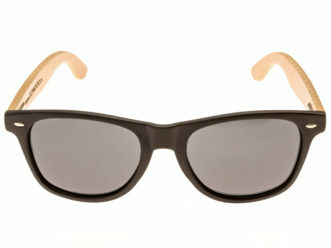 We also offer a no-nonsense easy return policy. 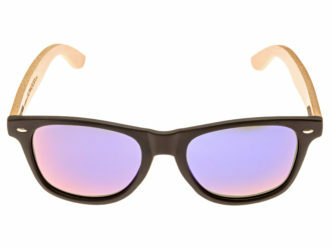 Don’t like this pair after all? 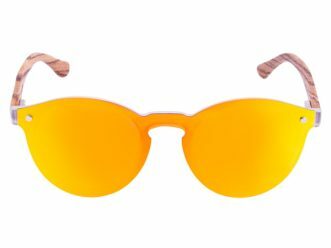 No worries, just return them.